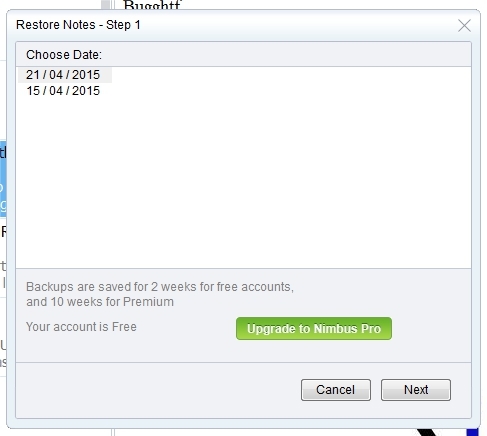 2) In the window that appears, select backup for the desired date. 3) Choose the desired folder and select the note (or notes) that you need to restore. 5) The notes will be restored to the same folder. Please note! This is not a note history, but rather a backup. Only deleted notes can be restored. 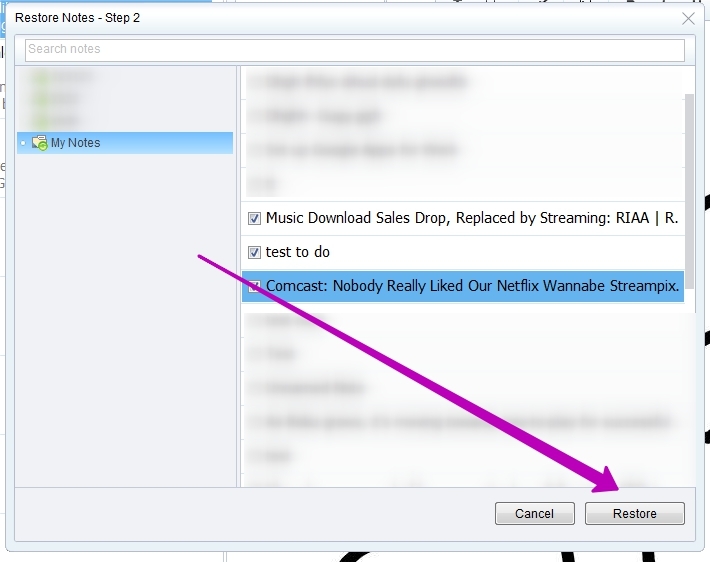 If you have a note and you would like to download its older version, this method will not work. You can only restore notes missing from your note database (e.g. notes which were deleted or were lost).